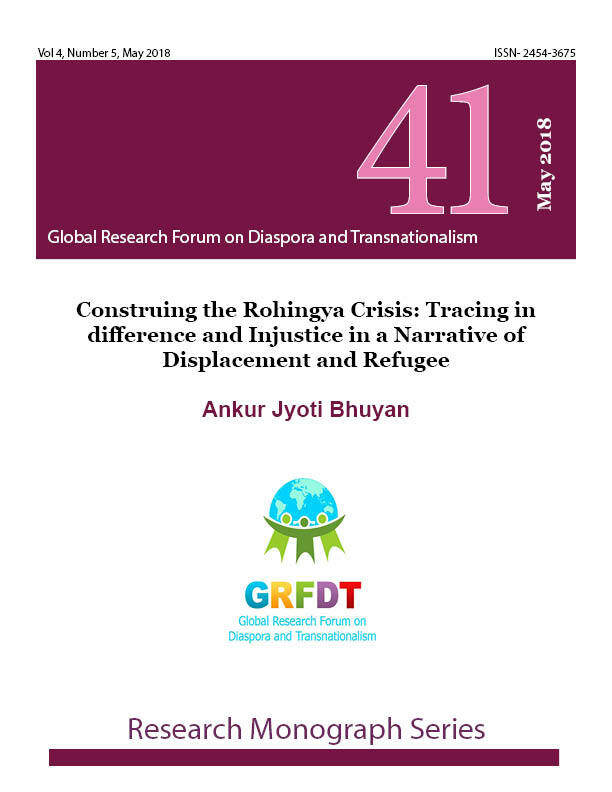 This paper endeavours to engage with the Rohingya crisis, visually explained as the boat people. The attempt is to transcend the immediate context of a stranded people and explore the larger world of reference, compelling the people to take suicidal voyage. In absolute definiteness, their lives unfold a reality of endless hatred, abuses, rights violation and continuous persecution inside Myanmar. These unjust acts in epistemic way unfold conspicuous intention of categorical indifference to the existence of the group. The displacement and refugee crisis is but half reality of a naked truth of state sponsored dehumanizing efforts. However, it would be more appropriate to state the case as one of domestic as well as global injustice fundamentally embodied in abandonment, the extreme form of indifference.